The money was granted by California State Transportation Agency under its Transit and Intercity Rail Capital Program, with funding through Senate Bill 1 and from the proceeds of the state’s Cap and Trade program, state officials announced last week. 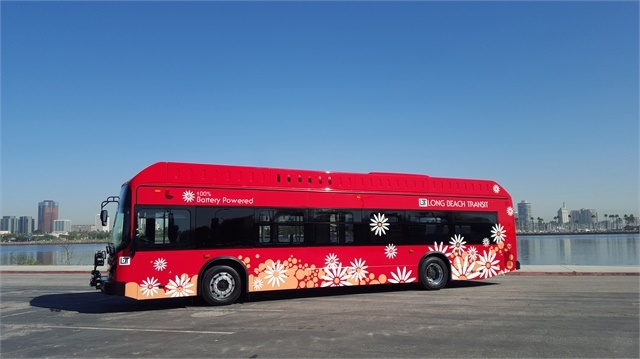 Long Beach Transit (LBT) and Antelope Valley Transit Authority (AVTA) were awarded a total of $13,156,000 for their project “From the Desert to the Sea” which aims to add multiple zero-emission battery electric buses to each transit authority. LBT will receive five zero-emission battery electric buses that will provide cleaner and more frequent service on LBT routes 22, 45/46, 170, 180, and 190. Each route will receive one additional bus in order to enhance frequency, and all routes provide improved and extended feeder bus service to either the Green or Blue Metro rail lines, including from Downey. The money awarded to LBT will also help its STAR Initiative which provides a change to the route structure within the LBT service area by providing increased frequency of service—both weekdays and weekends, expanded service in areas, and modified service times—both earlier and later, as well as improved connections and enhanced bus stop amenities. According to officials, by extending routes and strengthening connections to both the Blue and Green lines, this award will provide customers in disadvantaged communities with more and faster travel options to further areas such as downtown Los Angeles. LBT will also be able to expand its electric bus fleet with an additional $504,501 being awarded from Senate Bill 1 2017-18 State Transit Assistance 5 State of Good Repair funds in support of the purchase of 10 zero-emission battery electric buses. For more information on California’s Climate Initiatives click here. A summary of each project can be found here.